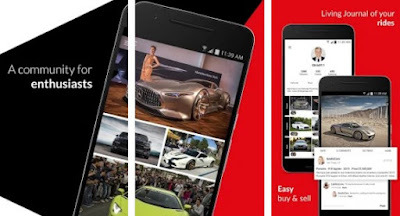 If you are a vehicle fanatic that likes to share his adventures and experiences while learning new things from other vehicle lovers, you can easily do that with the right social networking app on your smartphone. With this kind of app, you will be able to connect and chat with people that share your interest in vehicles, discovering new rides and get inspired or share your own inspiration. To help you, we looked and we have a great network of vehicles. Let’s see what the app is about. What is historide all about? The historide is an incredible social network app for android and IOS users, specially created as an online vehicle community for every vehicle lover and fanatic that looks for the easiest and most efficient way to meet people with the same interests, learn more about vehicles and share their own adventures by creating their live journal. With the help of this social app and the most amazing interface and editing tools offered, each user will be able to connect with vehicle enthusiasts, share ideas and get inspired by others, fulfilling every vehicle need and discovering amazing rides easily. On this app, all users will get to use amazing and highly useful features which will help them to share experiences and learn more about vehicles. This app contains information and helps for every vehicle fan, offering them to look for people with the same taste and connect with users from all around the world. Users by creating their live journal can share adventures and experiences and by broadcasting their location they can meet up people or discover rides happening at that moment easily. By posting status updates, sharing photos and videos, users can inspire others and even ask users anything and get helpful answers fast. The users can also link this app to their other social apps and add friends for comparing ideas and sharing inspiration. Many helpful advice and tips can be shared among users and on the app users can look for sellers of vehicles or they can try to sell their own vehicle. Only by using the great search filter users can find each vehicle they want simply by looking for it depending on the model or type and easily finding out is it for sale. An incredible community which is offering its users to connect and find their next vehicle adventure, learning all they need to know about vehicles. Download it for free on Google Play and App Store to fulfill all vehicle-related needs and get inspired!